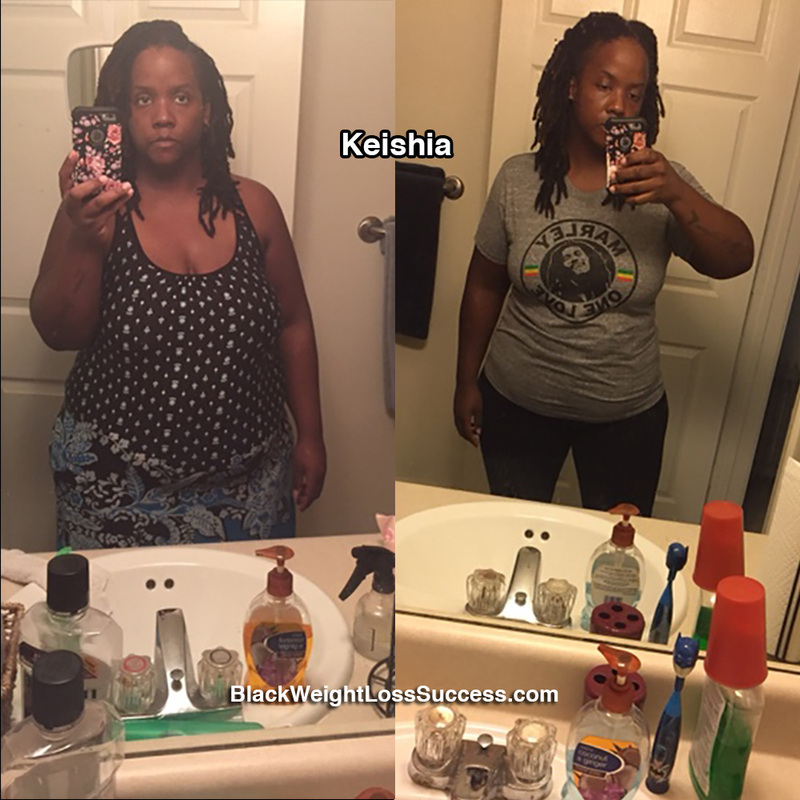 Transformation of the Day: Keishia lost 50 pounds. Already dealing with very high blood pressure and facing the real possiblity of developing full blown diabetes, she decided that it was time to do something about her health. Changing her eating habits and walking worked for her. Check out her journey. What inspired me to lose weight was the fact that I was borderline diabetic and my blood pressure was sky high. I’ve watched my Mother’s health decline over the past 20 years because of her diabetes and not controlling what she put in her body. I’ve gone from a starting weight of 286 pounds to 236 pounds since January 31st, 2018. I’m 33 years old and my height is 5ft, 9 inches tall. I lost my weight naturally, and I have about 40 more pounds to go. I cut out dairy and sugar. I also lowered my salt intake. I walk 3-5 miles a day and lift a little weight for toning. The biggest lesson that I’ve learned is that the weight doesn’t come off overnight. You don’t become overweight overnight, so don’t expect it to come off thatquickly. Whatever you challenge yourself to do, especially weight loss, love yourself through it. Great job keep it up !! !